CMON is happy to offer our newest CMON Play Retail Pledge option for our HATE Kickstarter Exclusive campaign. HATE will not be going through traditional distributor or direct sales channels once the Kickstarter is over, so the Retail Pledge through CMON Play is the best way to ensure you’ll have the game for your customers. If you have questions on why HATE is Kickstarter Exclusive, please see our FAQ. 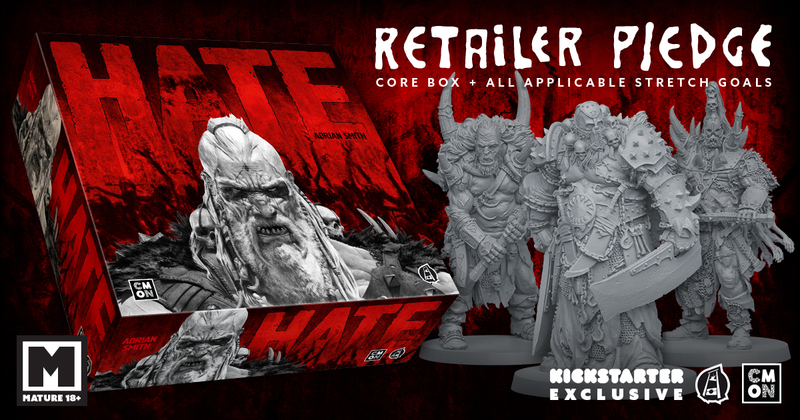 To learn all about the HATE Kickstarter Retail Pledge, check out the Offering in the CMON Play section of our site (or click here)!